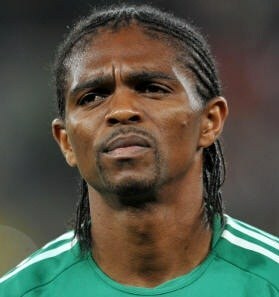 Nigerian football legend and former Super Eagles captain, Kanu Nwankwo has reportedly recovered his stolen £8,250 from Russian Police. The 41-year-old football legend was recently robbed by two loaders at Moscow’s Sheremetyevo Airport after he landed in Russia from London ahead of the 2018 World Cup tournament. Kanu had arrived in Kaliningrad for a World Cup curtain raiser game organised by FIFA when he discovered his money was missing and reported to the Russian authorities. Lt-Col Irina Volk, spokeswoman for the Russian Interior Ministry, who confirmed the incident said the money was stolen by two loaders and promised it will be returned to the football legend. A source close to the Nwankwo confirmed to NationSport on Monday, that the money has been returned to the former Nigeria International. “Yes Papilo is grateful. The Russia police and security agencies were very helpful. They recovered it in hours and returned the money to him,” the source said.